Volunteers tending a community vegetable patch in Keynsham’s Memorial Park held their first “dig in” day of the year. 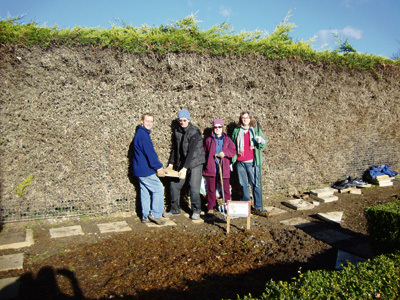 The group, set up by Transition Keynsham, pulled on their wellies and gardening gloves and met on February 2 to work on the plot of land. They plan to grow seasonal vegetables, herbs and soft fruits and are keen to hear from any residents who want to get involved. 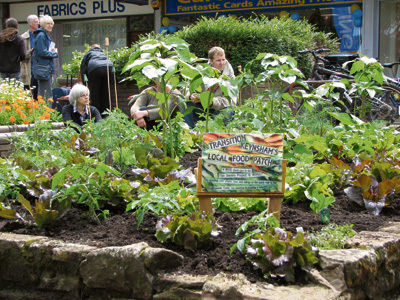 The vegetable patch was originally located next to the town’s clock tower, but had to be moved to the park ahead of work starting on the regeneration scheme. Now the Keynsham Community Plot in the Park, the team will meet on the first Saturday of every month to carry out work, as well as setting up other sessions for different tasks according to the season. Anyone who wants to get involved can either pop along one dig in day, find the group on Facebook at www.facebook.com/KeynshamPlotInThePark or email keynshamt@yahoo.co.uk.